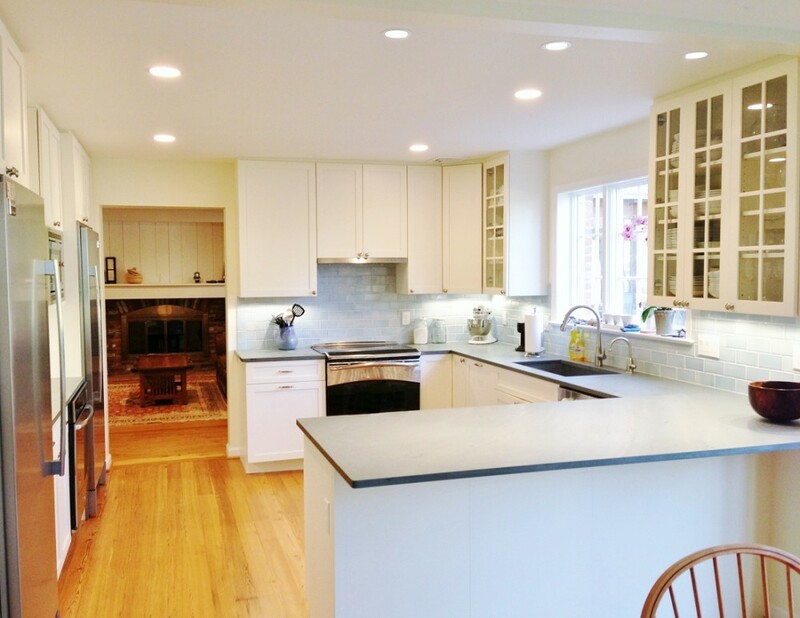 This whole house remodel aimed to bring together and modernize the overall space. On the first floor, work included a floor-to-ceiling kitchen bay window, new kitchen cabinetry, new appliances, new storm doors, new hardwood floors, and new slate flooring in the foyer. The second floor included a completely redesigned master bath, new laundry room, added skylights, and three newly remodeled bathrooms. The entire house remodel added 90 ceiling light fixtures, an upgraded electrical system, and refinished hardwood flooring.